Combine all ingredients into a large bowl and mix thoroughly. Mixture should be moist but easily form into balls. If too moist, add small amounts of breadcrumbs until ideal. Form into 2″ round balls and place on an ungreased cookie sheet. 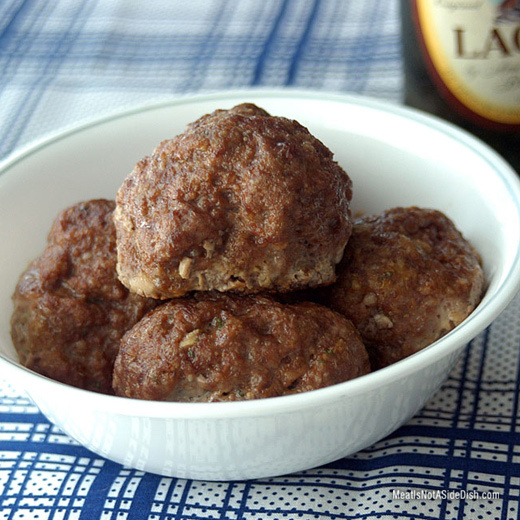 This recipe can be made into smaller sized meatballs and cooked for less time for wedding soup. Meatballs can be frozen after cooled in Ziploc bags until ready for use.